Present your wedding cake in style with these pretty cake boxes, part of the Vintage Romance collection. Made from high-quality, sturdy card, boxes are rectangular in shape and are suitable for use with a variety of sponge and fruit cakes. 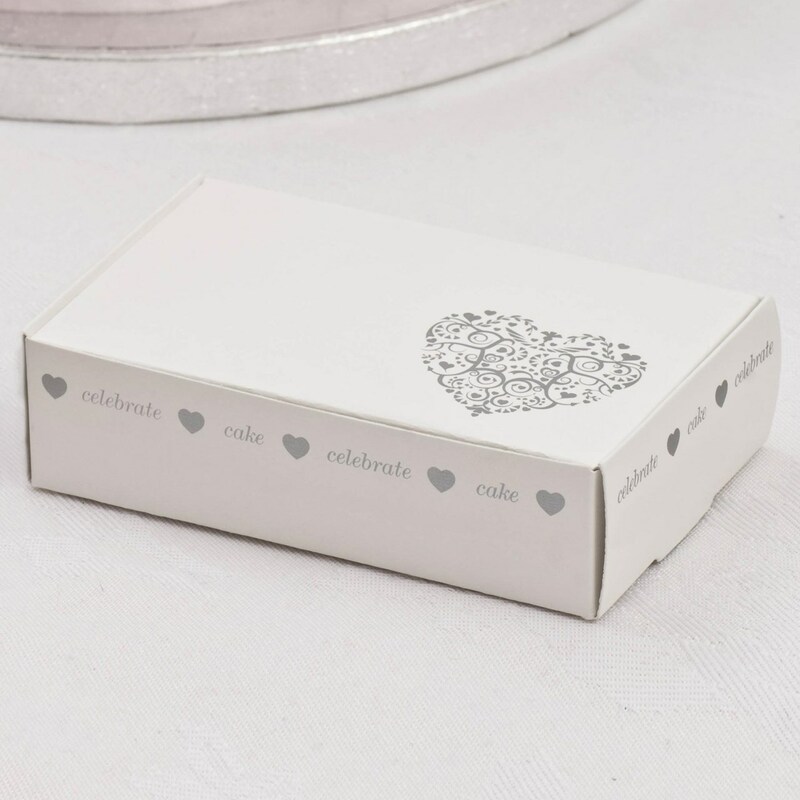 Embellished with an intricate heart illustration, these boxes combine elegance and practicality, and provide a lovely way to share your wedding cake with your guests.